Today is the Saturday of the late May Bank Holiday weekend. 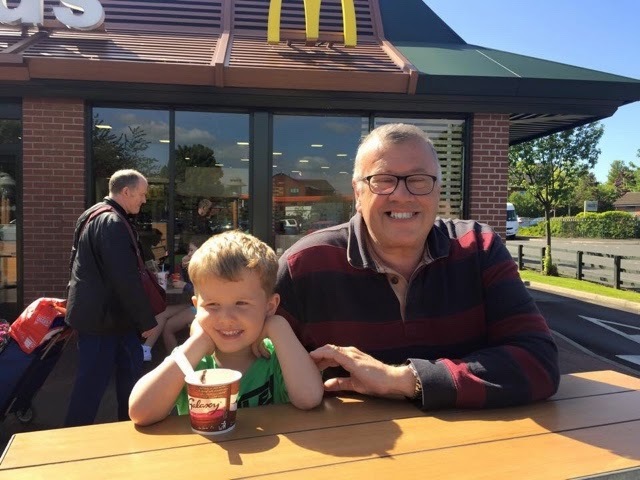 The weather is good, our daughter is visiting from London and we are minding the grandchildren while their mum and dad grab themselves their own welcome break away overnight. I was given a list of preferences by our 4 year old grandson before he arrived - via FaceTime yesterday evening. Amongst them was a request to remove or replace the picture from the wall of his bedroom at our place, Teddy Bear's Picnic, as he no longer likes it. Probably too old for all that stuff now. 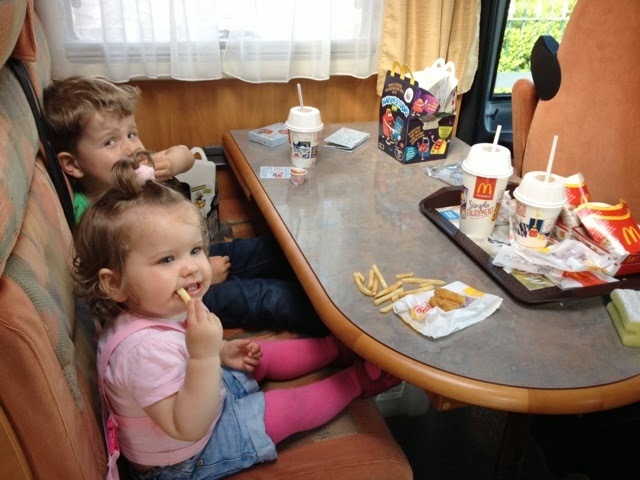 Next he wanted tea, which had to be a MacDonald's Happy Meal, eaten within the camper van. 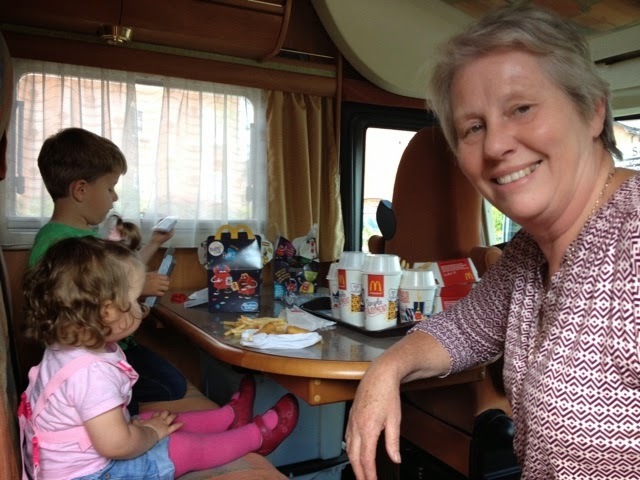 Every time they visit, granddad has to spend most of the time sat with them in the camper van while they decide which will be their bed when their turn comes for their first trip away in it. 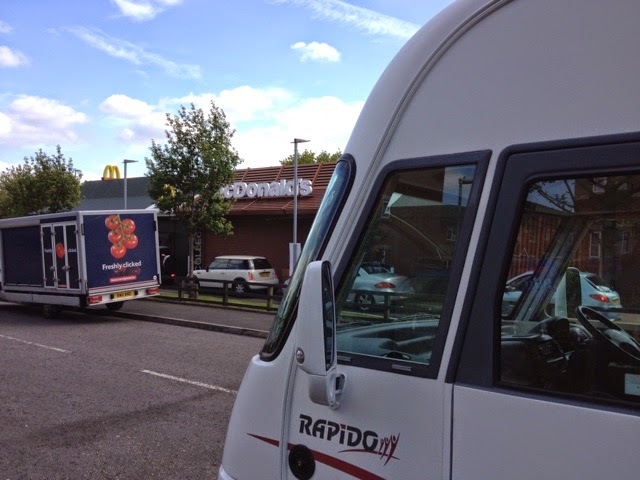 Today we decided to fulfil their request by driving the mile to the local Maccy's in the camper van to picnic on their car park. What joy! 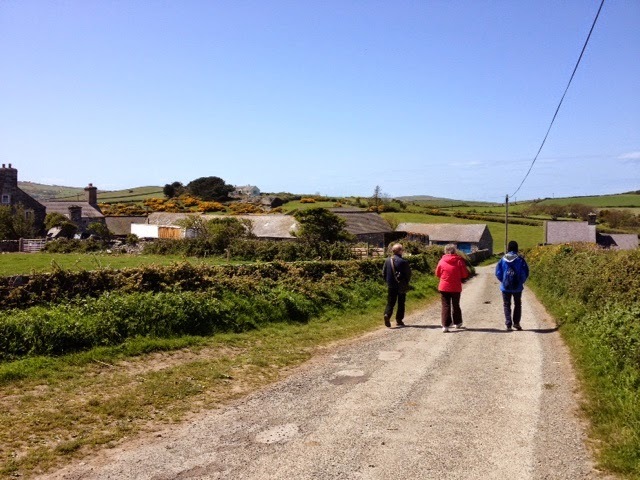 However, all concerned seemed to have a great time on the two mile round trip! 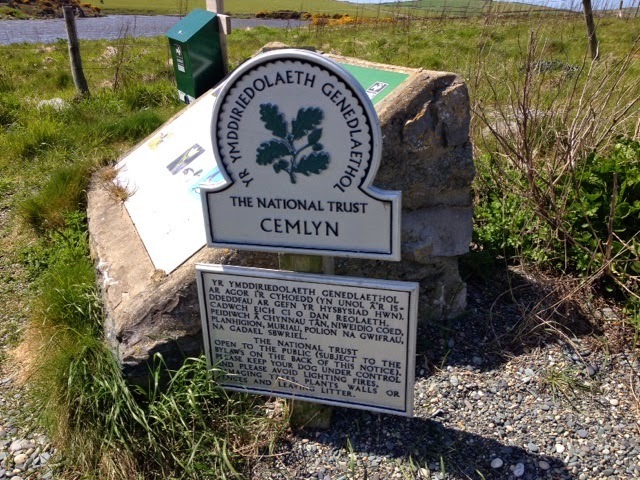 Today has been another fabulous day in relation to the weather, and we decided to make the most of it by driving to the Cemlyn Nature Reserve, a National Trust Property on the North coast of Anglesey. 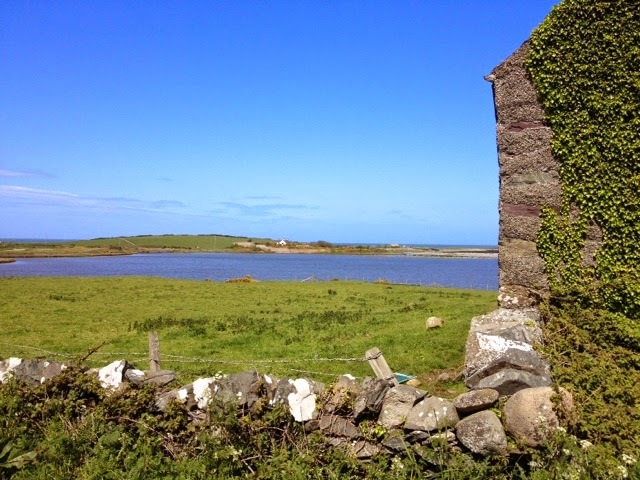 Apparently the lagoon which is home to the many varieties of birds that attract twitchers from all over the world was created by an eccentric home owner in the 1930's who built a weir across land that flooded and emptied each day on the tide, something that would never be allowed today I suspect. 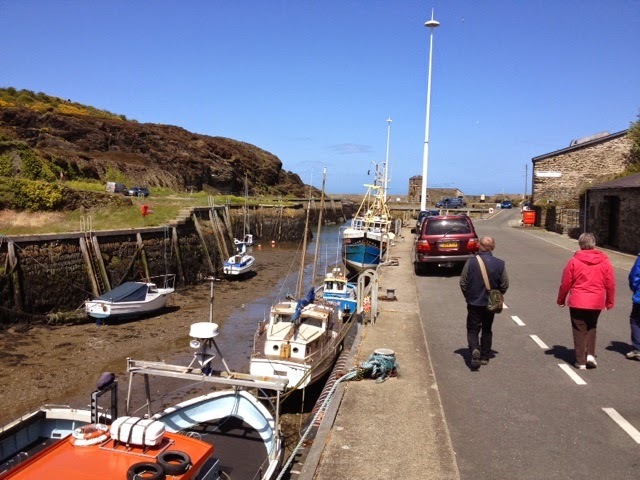 After clearing the system with a brisk walk it was off to Amlwch Port for lunch at the newly opened cafe at the side of the copper museum. The port is historic and was not only used to transship copper ore but also had boat building activity within the three dry docks. 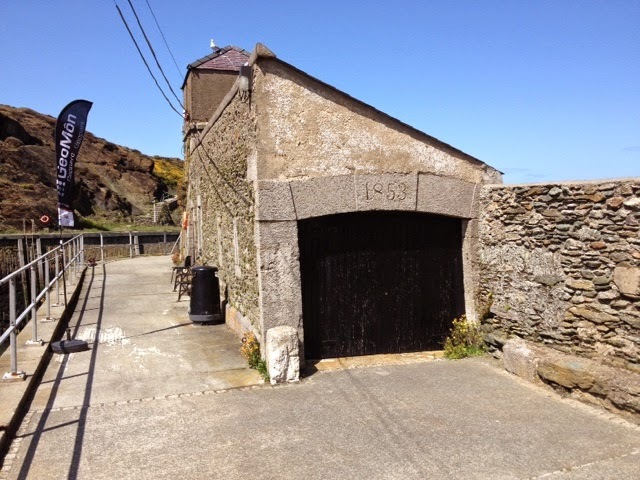 Everything is still as it was all those years ago, with the date stone above the port building on the quayside stating 1853. 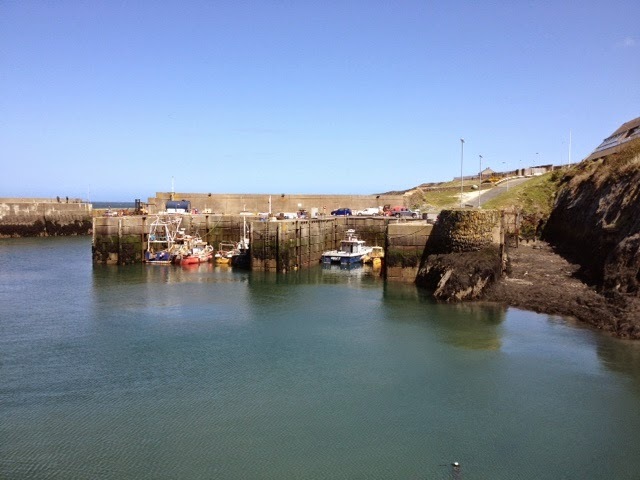 The port is now mainly used by leisure boats with the occasional working boat. 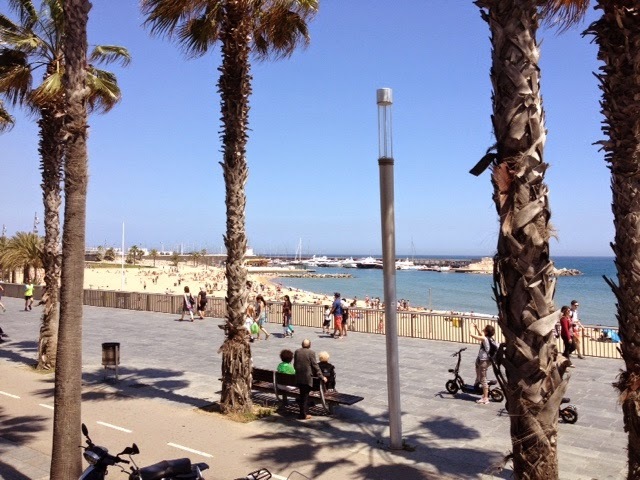 The Location Of So Many Childhood Beach Holidays. The weather forecast for today indicated that a band of heavy rain would sweep west to east across the country. The Met Office was confident this would happen, but as usual couldn't predict exactly how far north it would reach as well as the actual timing of the event. We awoke this morning to the same clear skies as yesterday and a sunrise to go with it. However, things deteriorated slightly during the morning to a stiff breeze with light drizzle, but by 3pm, just as predicted, the sun reappeared for the remainder of the day. 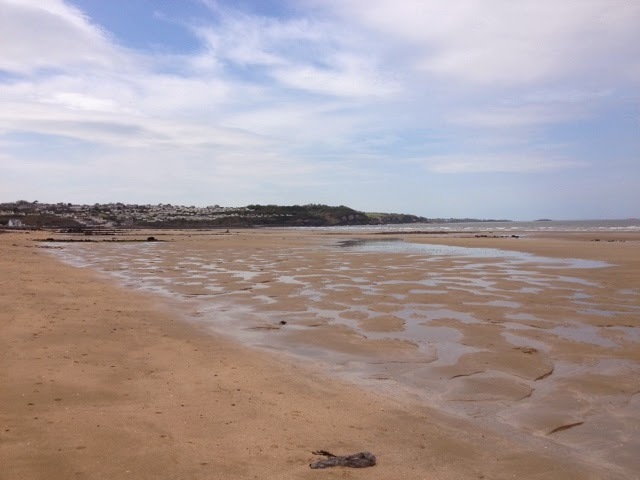 We took advantage of this by visiting Benllech Bay, the location of so many of my childhood holidays. Again, everything is just as I remember it, and completely unspoilt by the tat of the modern world we live in. 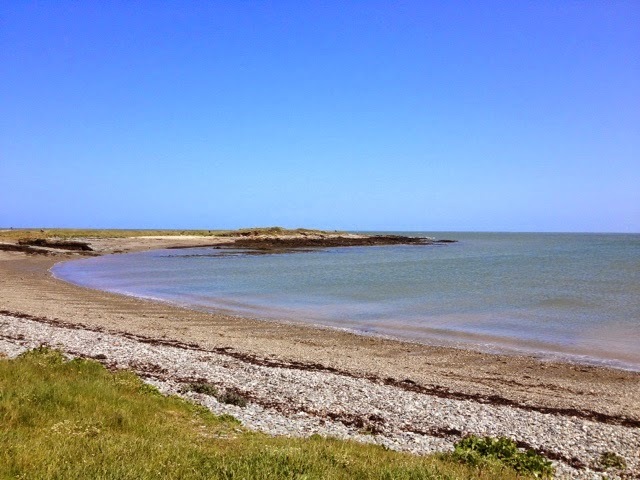 This is what we love about Anglesey. The postal address of the location of the beach shots is Tyn-y-Gongl, a place name that conjures up a visit to a rural farm back in 1963, where we were able to handle new born chicks, and of course we wanted to bring them home with us. 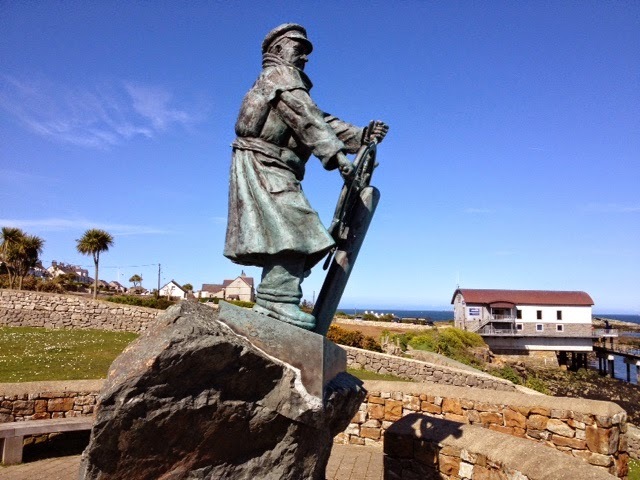 Above is the commemorative statue of Dic Evans, one time coxswain of the Moelfre lifeboat and a name that is embedded in the local folklore of the RNLI. 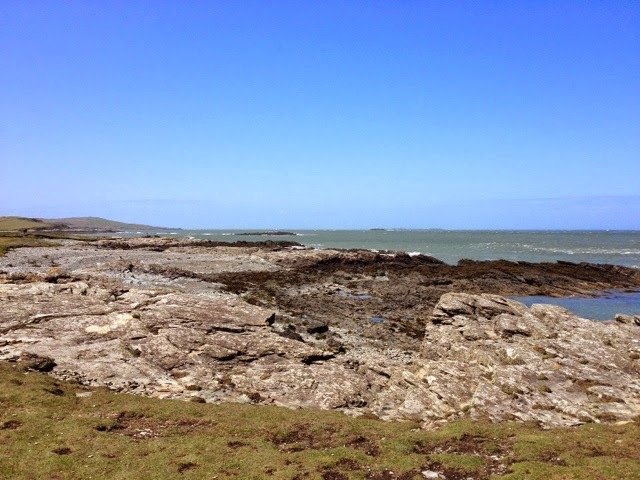 This is located looking out to sea at the Sea Watch Centre in Moelfre, the next village along the coast. 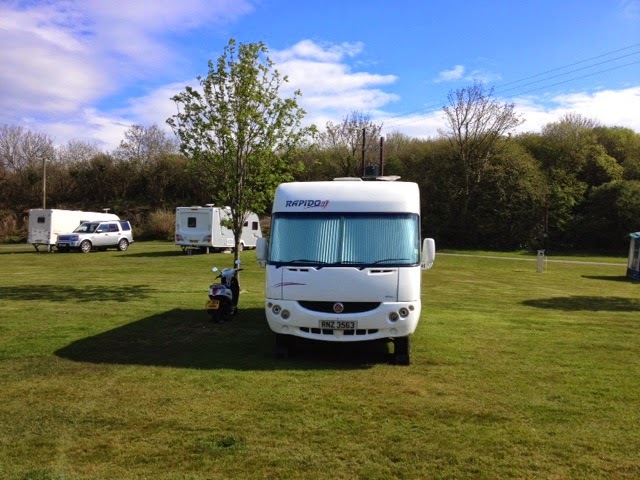 The Caravan Club site at Marian-Glas is of course in a beautiful rural location, but beware those who prefer total home comforts as there are no service blocks here. 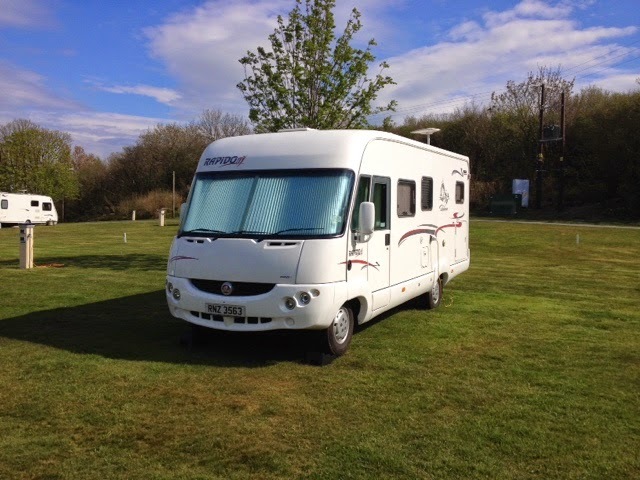 Modern caravans and motorhomes are well enough equipped for this not to be a problem though and there is a motorhome service point provided where the specific needs of this type of vehicle are catered for within the dedicated bay where the grey water tank can be dumped as well as access to the drinking water hose to fill the tank. Tomorrow we visit the town of Llangefni, the main town on the island, to meet friends we met during a world cruise on P&O Cruises' MV Oriana in 2012. First Trip Of The Year (In The Motorhome). 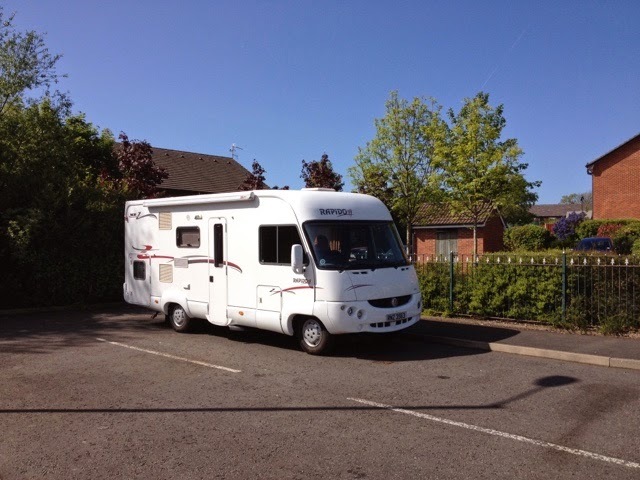 Today saw us leave for the first trip of the year in the motorhome. 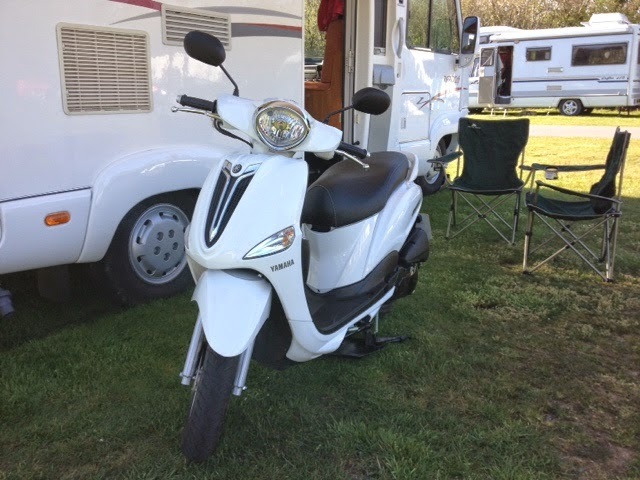 Although I tested the new Yamaha for both fit and weight before I committed to buy it last year, it proved remarkably easy to load and unload ourselves, as the salesman did it for us at the motorcycle dealership last time. 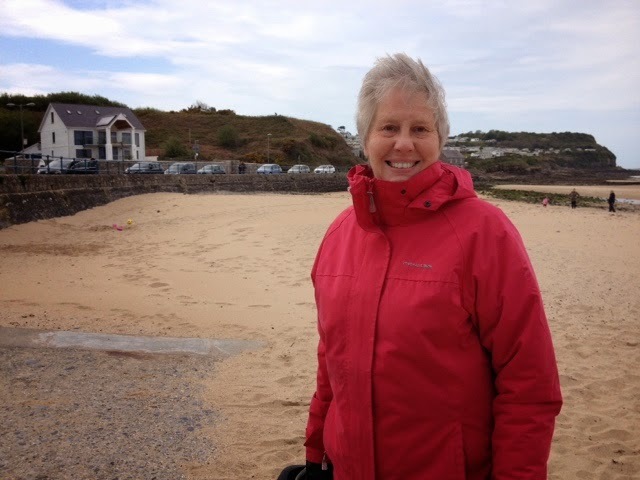 The weather here today is as good as you would get anywhere in Europe, and once we had set up - all of 20 minutes, we set off to explore the Island of Anglesey, somewhere we have not spent significant time at since I was aged about seven. I can report that it is just as beautiful as ever - unspoilt by arcades and slot machines, and still a place of outstanding natural beauty, just as I remember it all those years ago. Margaret didn't want to travel far on her first outing as a pillion passenger on the scoot. The last time I persuaded her to try this mode of transport was on a Honda VFR 750 circa 1989. I have to say I wasn't gentle, and she said " never again". 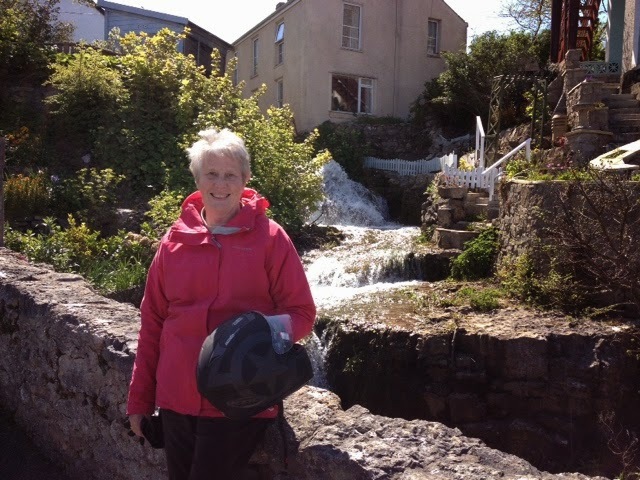 This time I hope I was able to demonstrate that there is much more to 2-wheel motorised transport than the exhilarating speed of a large sports motorcycle, particularly in such beautiful weather. 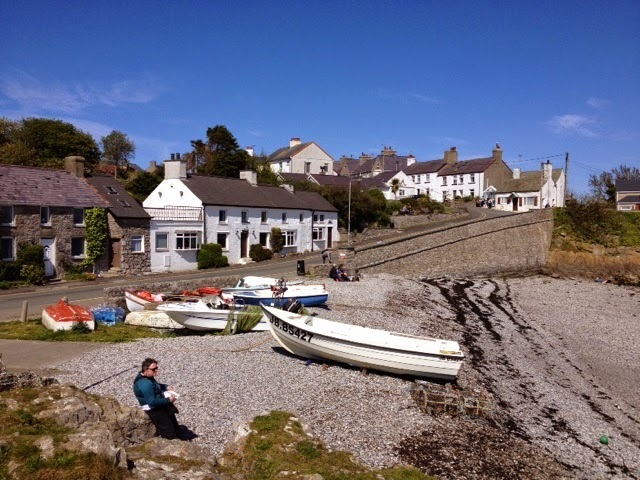 We chose to visit the coastal village of Moelfre, the scene of so many of my childhood memories. 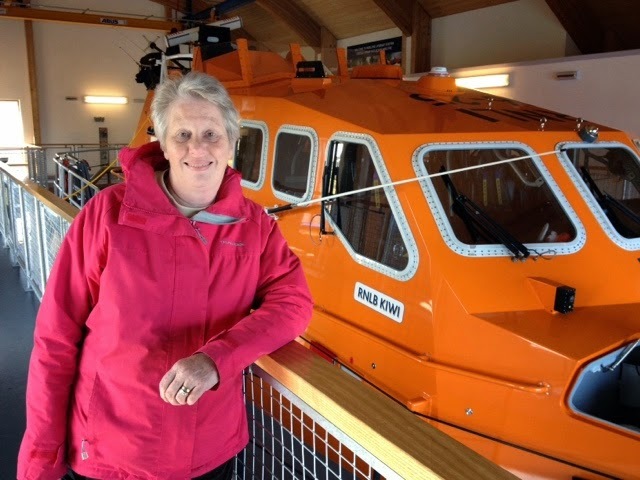 As a child we visited the lifeboat station, always a place of excitement for any youngster. 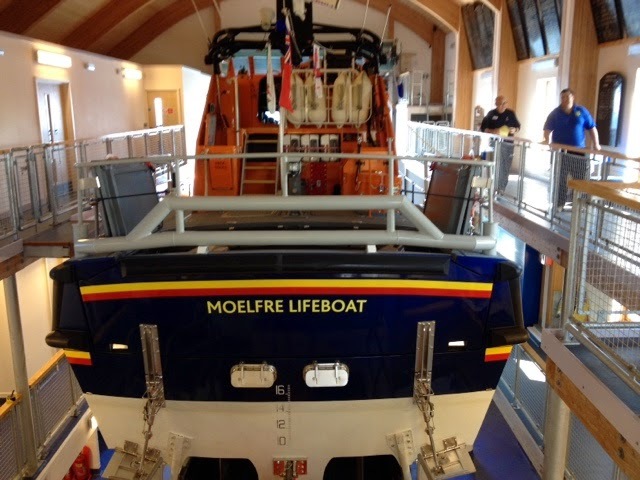 Moelfre has the benefit of being the recipient of a brand new vessel, not yet formally named until early June, when it will receive the name "Kiwi", as a very big thanks to its major benefactor, Reginald Clarke, originally from New Zealand, who bequeathed £2.3 million of the £2.7 million required to build such a high tech lifeboat. I do believe his surviving family made up the shortfall, and they will be in attendance as guests of honour at the naming ceremony. Reginald was apparently torpedoed three times during WW2, and owed his life on more than one occasion to the brave crews of the RNLI. 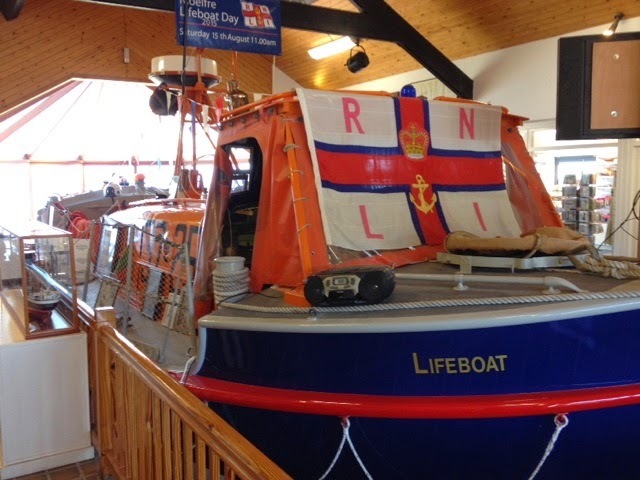 An older lifeboat, more in line with the class of boat that I remember from the 1960's is on display in another shed just up the coastal path. This is called Birds Eye from the 1970's, which was originally paid for by the fund raising efforts of the staff of the frozen food company it was named after. 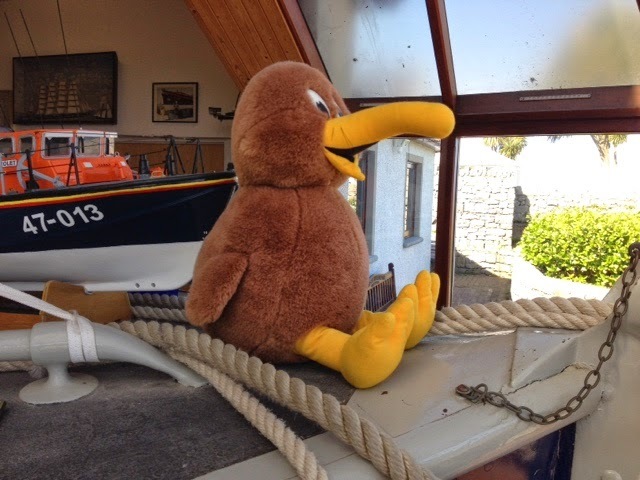 Currently Birds Eye is displaying the Kiwi mascot of the new boat on her bow. 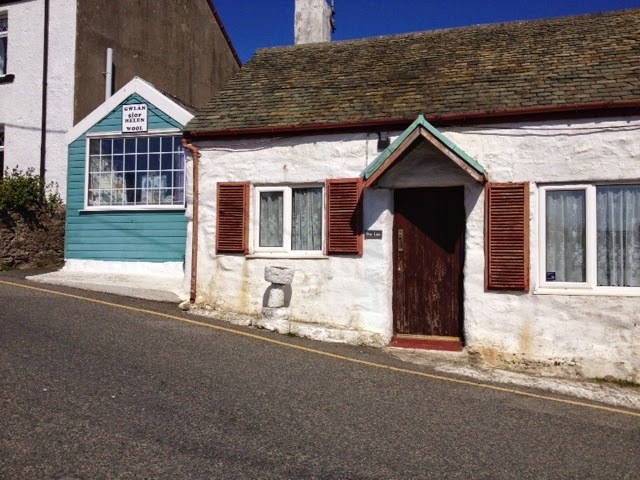 Above is a shop that I commented to Margaret was the location of a wool shop, where in circa 1963 my mother treated the three of us to new woolly bob hats. To our amazement, as we approached, it remains a wool shop today, and looks pretty much the same as I remember it all those years ago. 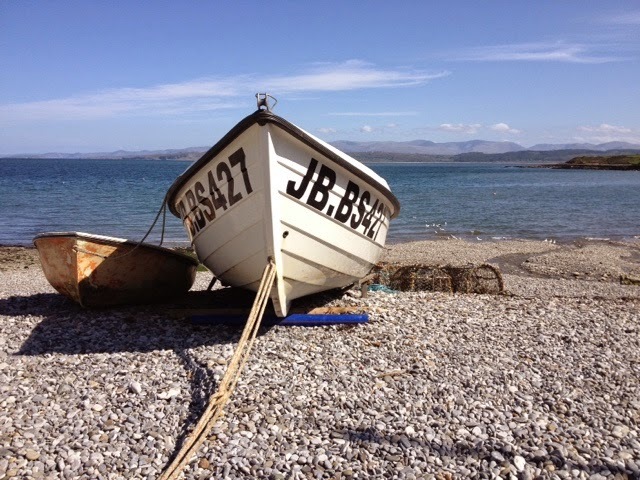 The beach at Moelfre is pebble with a fairly deep shelf into crystal clear water. As a child we would be taken for trips to Puffin Island in a skiff powered by an old British Seagull outboard, operated by a local fisherman, and member of the lifeboat crew. Having no lifejackets or other safety equipment as I remember, would render this activity impossible today. 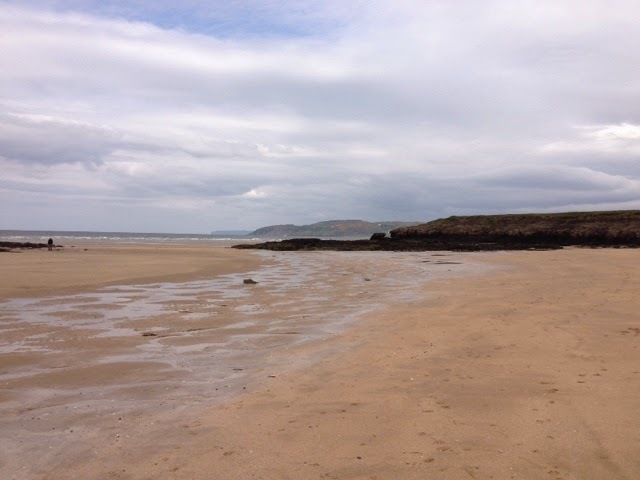 There have been many shipwrecks in this area over the years, and we used to gaze at the remains of one such vessel, The Hindlea, which floundered in 1959. A much more famous wreck here is the Royal Charter, returning to Liverpool from Australia in the 19th Century. She was caught up in a storm, and decided to take shelter here, but a series of bad decisions on the part of her Captain, along with a good chunk of bad luck, meant that she never made it with a huge loss of life. 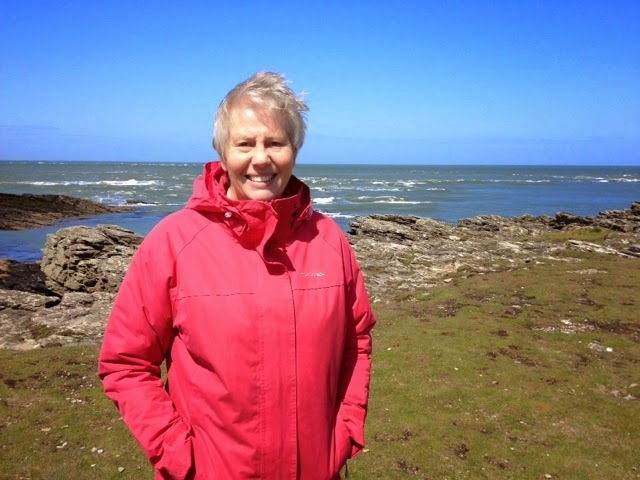 Wales remains a fantastic place to visit as a tourist. 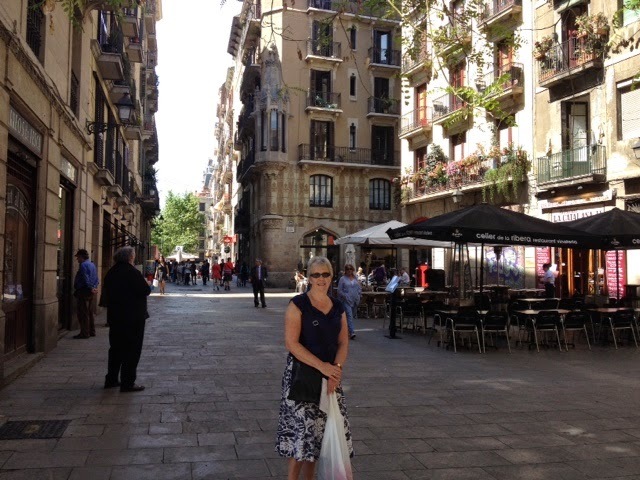 Having seen most of Barcelona from the top of the city tour bus yesterday, today we decided we would walk to some of the more interesting places for a closer look. 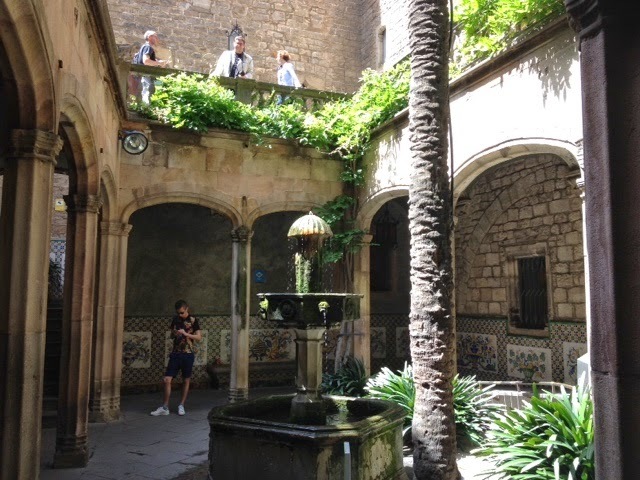 A vote was taken, and we decided that we would explore the Gothic Quarter as we all have an interest in history in one form or another. 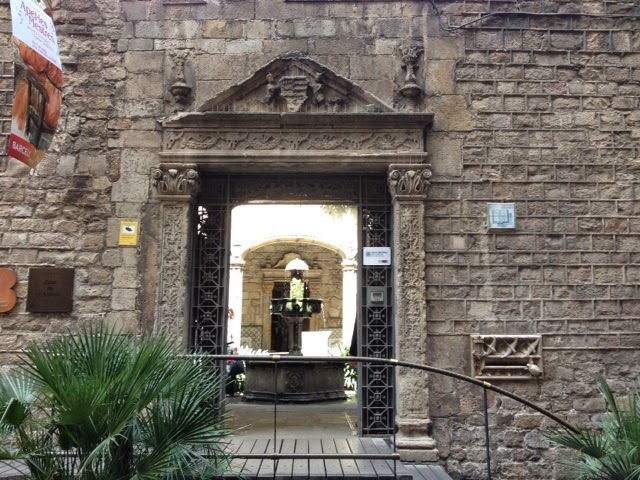 That area provided us with plenty to see dating from the Roman occupation around the 4th century through to medieval times. 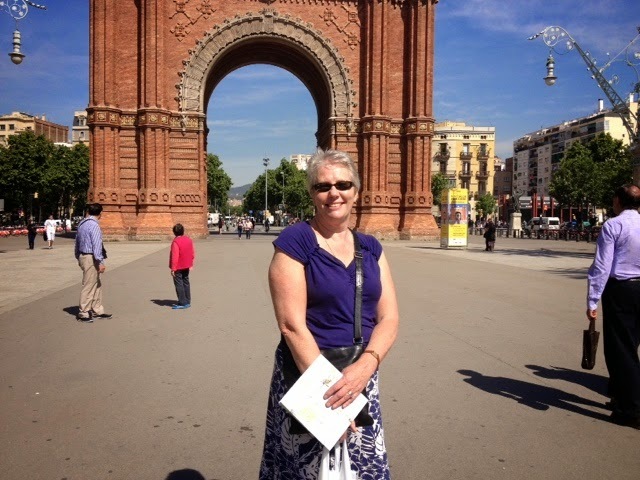 First off we made our way from Place de Catalunya towards Arc de Triomf, a large brick structure at the entrance to Parc de la Ciutadella. 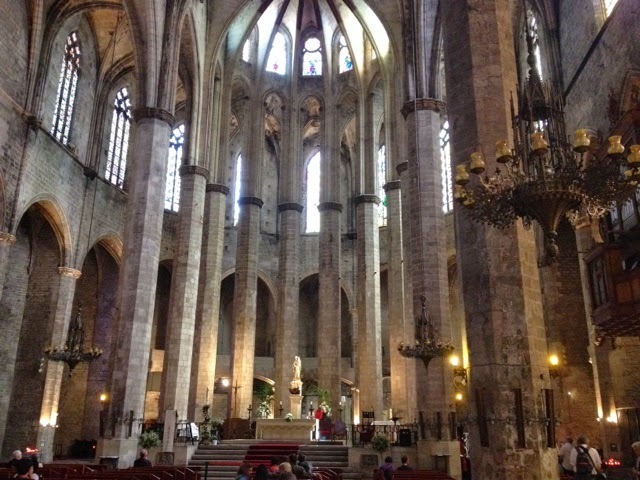 Then towards the port we visited the magnificent 14th century church of Santa Maria del Mar and into the Gothic Quarter proper, the location of the Cathedral. 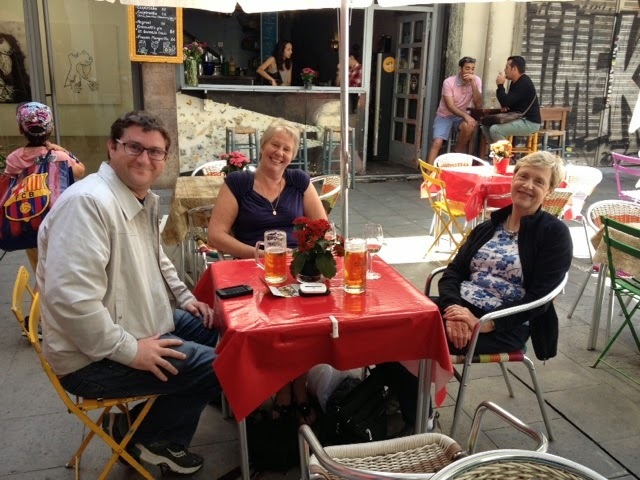 Having arrived there just too late (12.45pm), to gain free entry, with that then being €7 each until 5.00pm when entry became free again, we decided to take a quick bite to eat and a beer at one of the hundreds of street cafes. 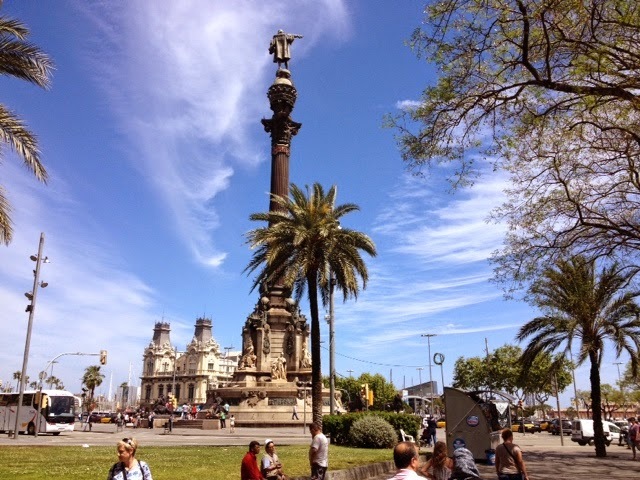 After the welcome rest that provided us with we made our way down to the bottom of Las Ramblas and the Monument a Colom, (Statue of Christopher Columbus), then making our way through the shops and markets and back to the hotel. Another lovely day spent with my Australian cousin. 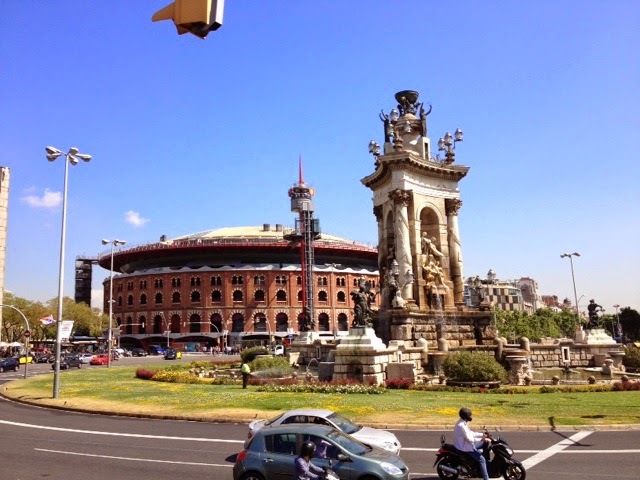 Here we find ourselves in Barcelona during the few days preceding the F1 Grand Prix and the city is vibrant. 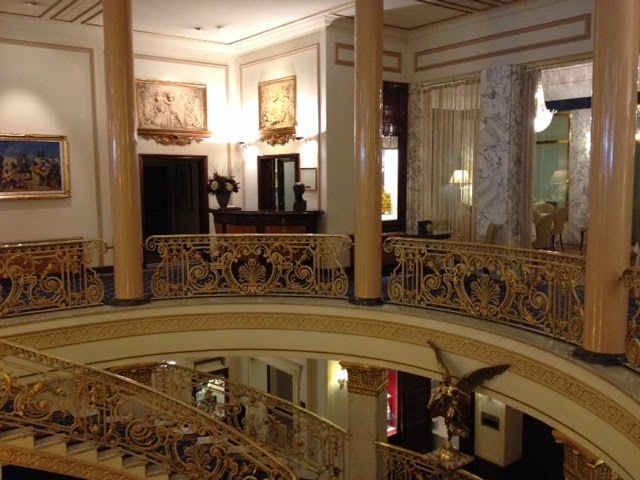 We are here solely for the purpose of meeting my Australian cousin who finds herself in Europe at this time. 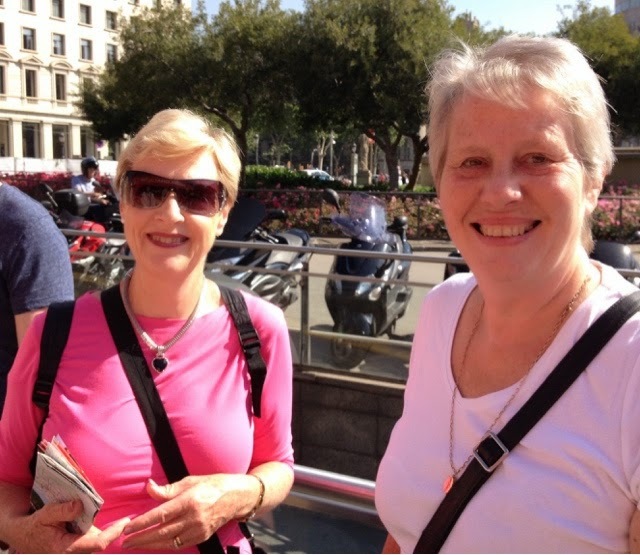 Our air fares, booked at the beginning of the year were a very reasonable £78 per person return - no dearer than the train fare to London from our home. 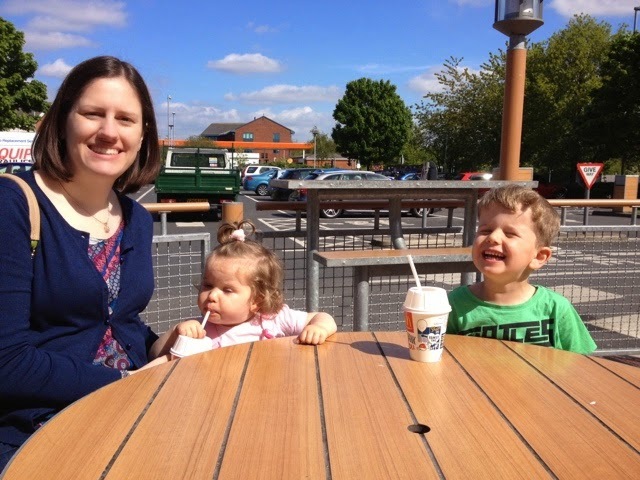 We are now making the most of the warm sunny weather, which I believe is currently unlike that we left behind in the UK. 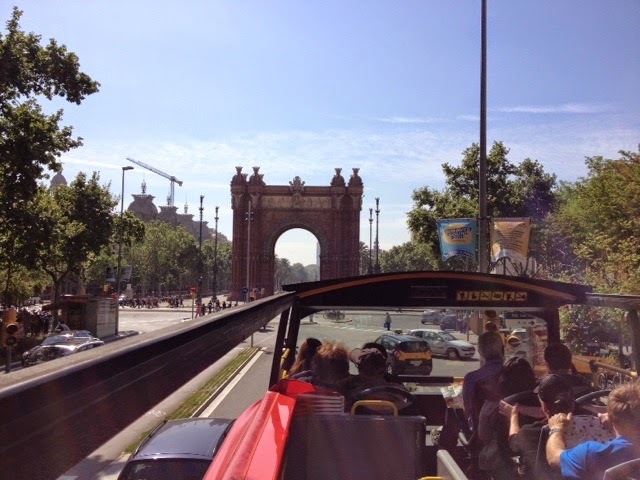 Today was spent on the official Barcelona City Tour hop on bus, and at 27€ per person, a large percentage of the cost of our travel here. 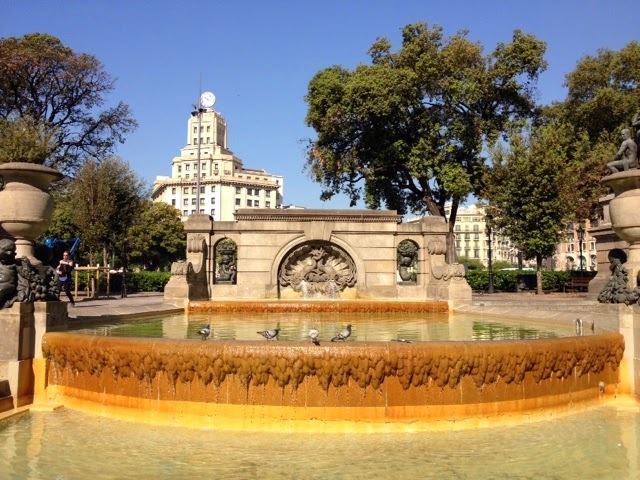 A few days break in the warm sunshine of a Spanish city is available together with a good hotel - (the Aveneda Palace at the top of Las Ramblas). for very reasonable money. 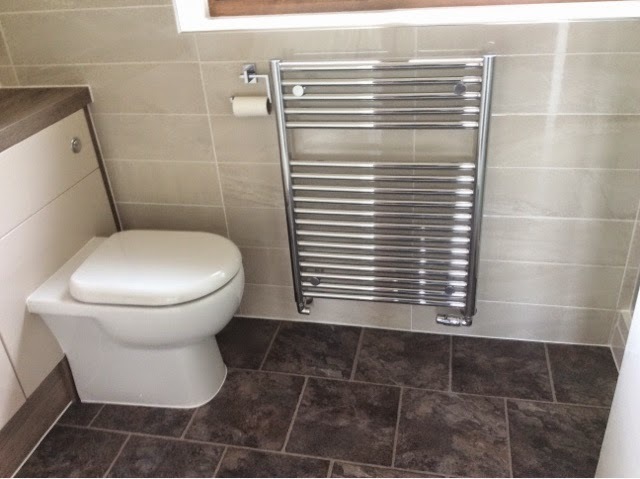 We have lived in our current property since it was new back in August 1984, and have brought up our two children in it, without really being able to consider major improvements along the way, as funds were limited by school and university fees etc. Now the kids have flown the nest, and have successful careers and homes of their own, this year is our time to upgrade our home, having decided that we will stay here, rather than downsize to a smaller one as we get older. 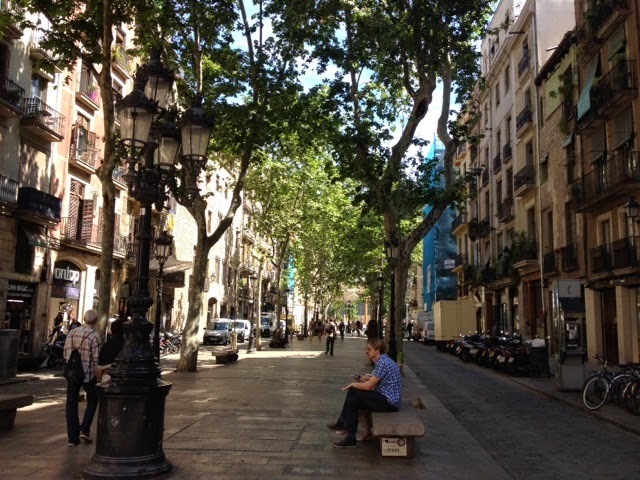 We had considered that, but the location of this house is such that we have easy access to a bus route, village shops and two supermarkets within walking distance. So, now was the time to invest. 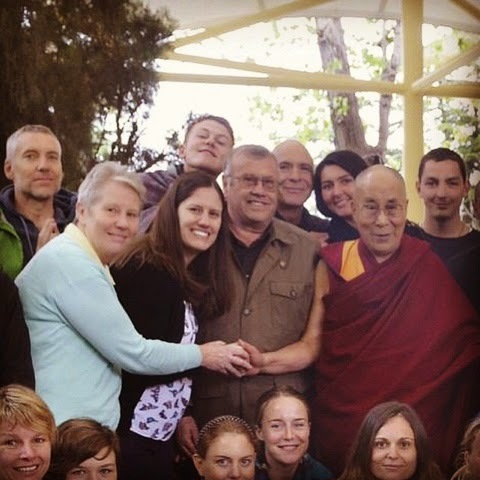 This year is also busy travel wise, with a trip to India already completed. 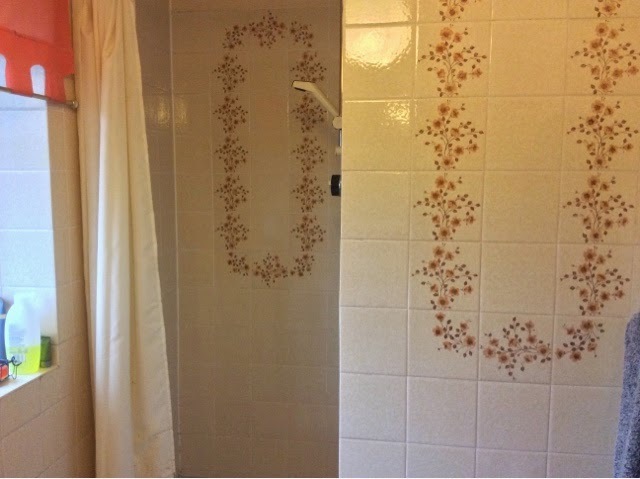 We had a limited time window to have the work completed to renovate the two bathrooms, which were until now still in their original 1984 decor, coloured suites and all! 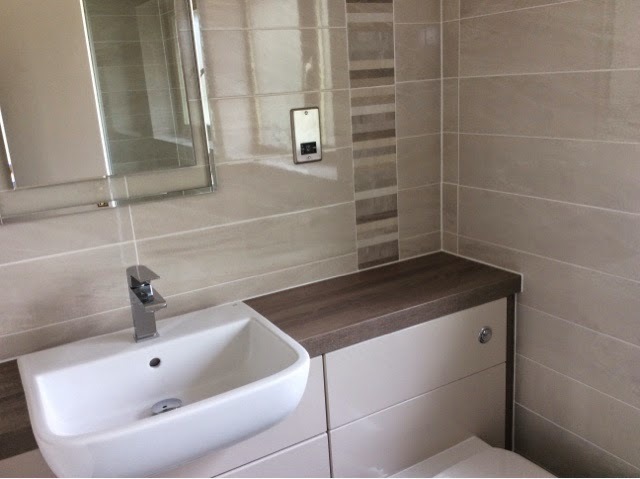 We chose a local company Bathroom Design And Supply Ltd to complete the work, giving them a maximum timescale of just under three weeks to complete the job. 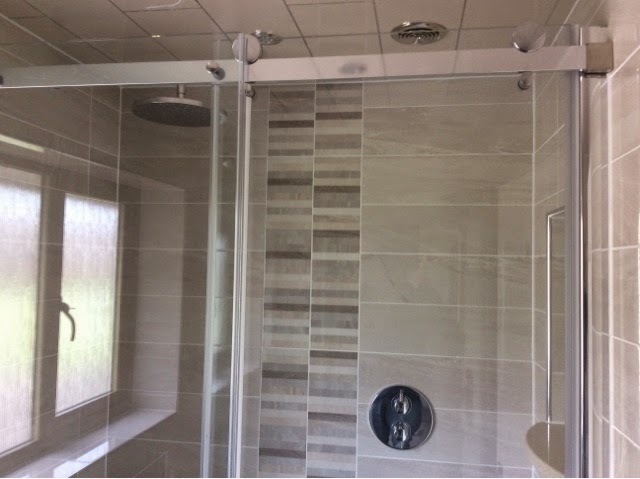 They finished their work in just over two weeks, and here are the amazing results. Absolutely first class. 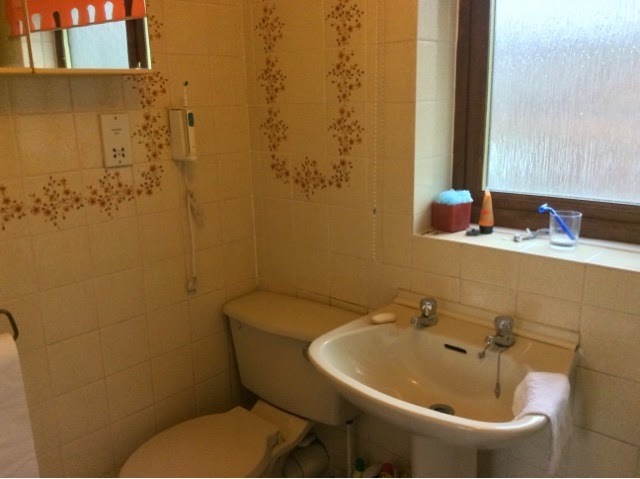 First, the main bathroom, which was to be refitted to the existing layout. 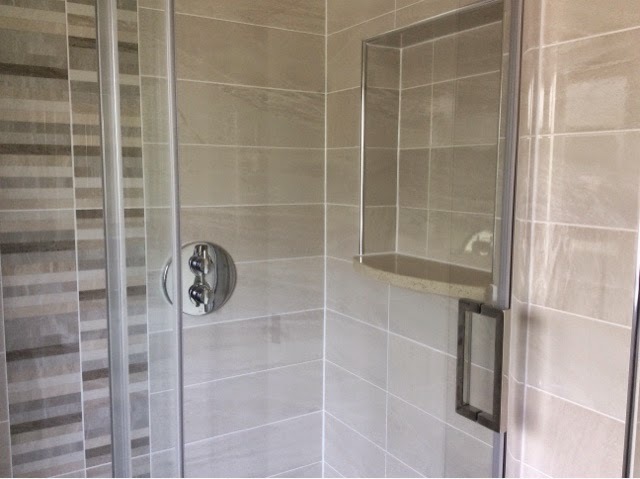 And the before and after images of the second project, the en-suite shower, which was to also undergo major layout modification, and enlargement by removing a redundant original built in wardrobe that encroached into the space available for the shower.